An RFQ is a linear accelerator used in proton and other ions accelerators as the first element of acceleration, typically accelerating particles from tens of keV to about 3 MeV. 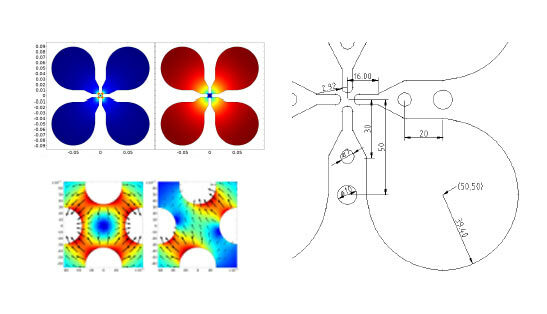 The RFQ fulfills three different tasks at the same time: i) accelerates the beam, ii) keeps it focused transversely, and iii) group particles longitudinally in bunches, optimizing the acceleration performance for the next RF cavities (DTL, superconducting,…). All these characteristics are obtained from the particular distribution of electric and magnetic fields when the cavity is excited with the frequency corresponding to adequate resonant mode. The cavity geometry must be designed to resonate at this particular frequency. 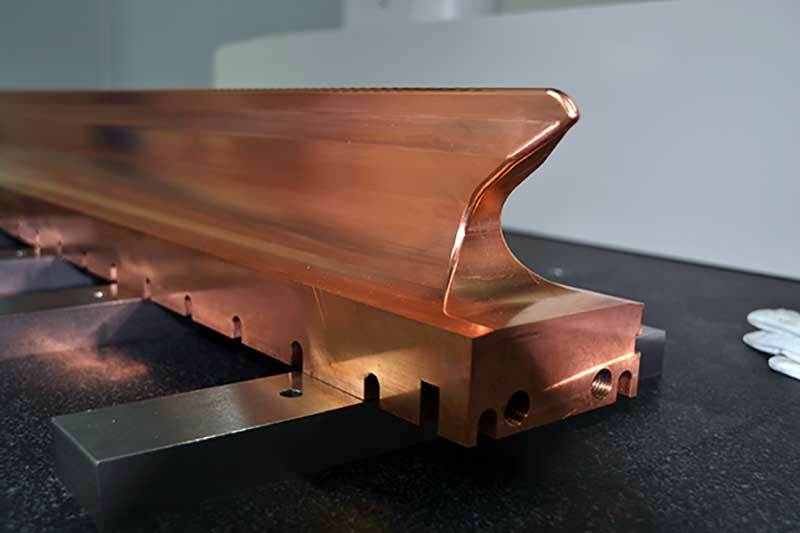 Physically, ESS-Bilbao RFQ is a copper cavity of about 3 meters long, built by attaching together 4 segments of about 800 mm. Each segment is itself formed by 4 elements known as vanes. 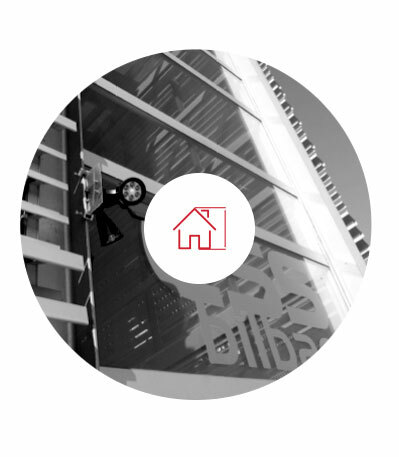 This allows to achieve the high mechanical requirements needed. First design was done in 2013, after review and major changes a new design was approved in 2015 (see TDR for details). The fabrication of the first segment started on 2016. Constant voltage, ρ and R0. Polimeric vacuum gaskets (no brazing). Dynamic control by water temperature. 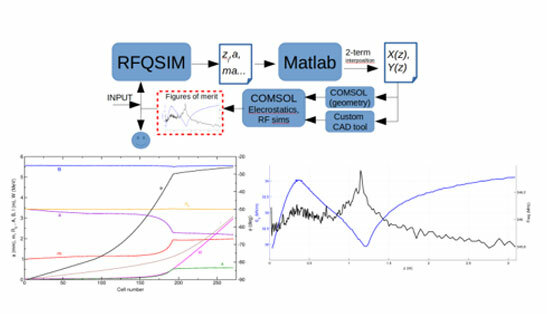 The ESS-Bilbao RFQ modulation is the result of an optimization process. The modulation is designed for an intervane voltage of 85 kV, uniform throughout the entire length. Vane radius (ρ) is also constant, so to obtain a uniform local frequency and field flatness the mean aperture R 0 should also be constant. 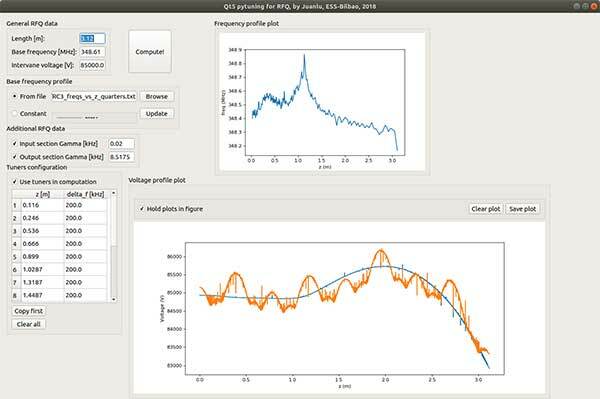 Modulation shape is based on a 2-term expansion of the intervane voltage and has been designed using a modified version of RFQSIM code. 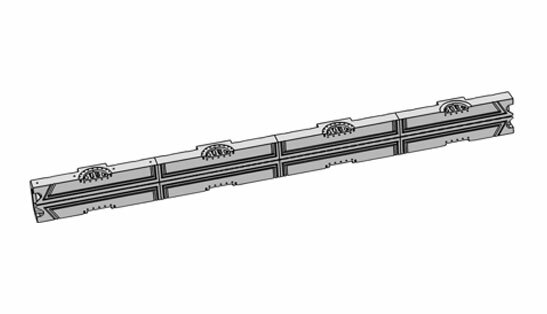 Mechanical constrains (width, length of segment, cooling channels…) were met. 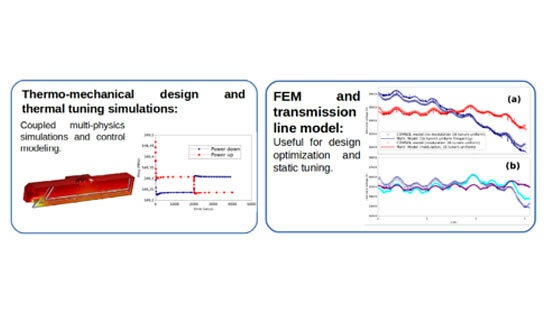 Comments on thermo-mechanical design: dynamic tuning and static tuning. 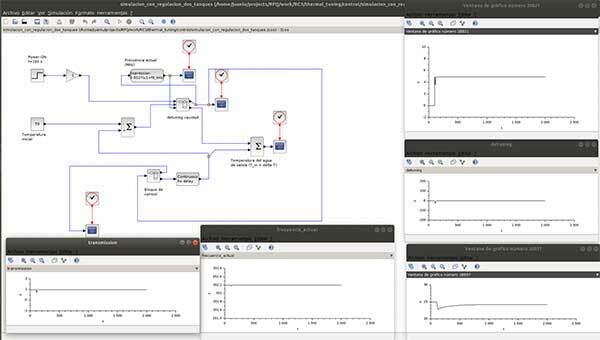 A transmission line model has been developed to quickly analize the electromagnetic behavior of the RFQ. In such a model the intervane voltage and the frequency of the cavity are obtained using a perturbative approach. 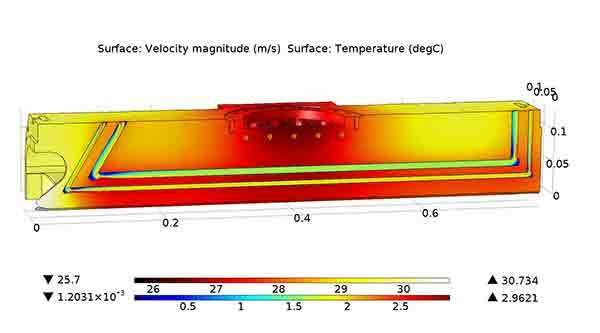 Transient and steady thermo-mechanical behavior of the RFQ has been studied in order to use the cooling water temperature as a fine control mechanism for the cavity frequency during operation. 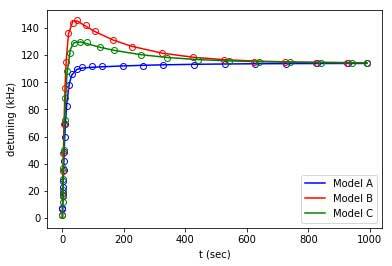 These results are used to fit a control model. 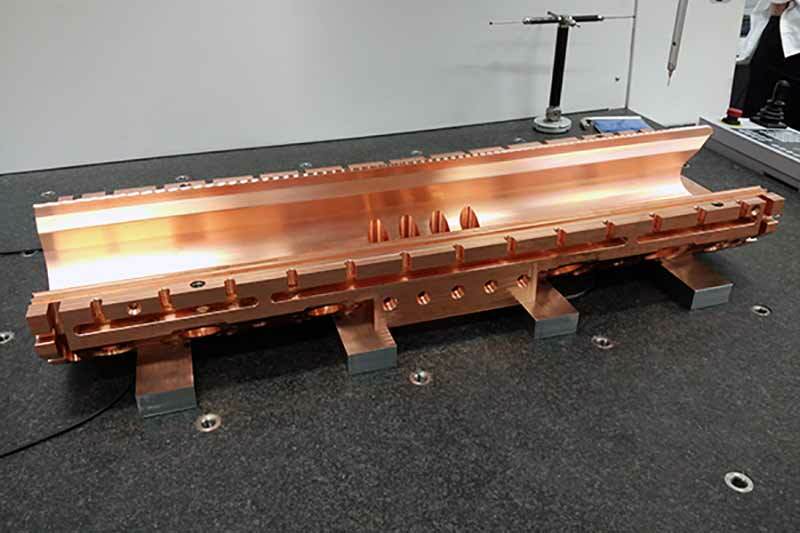 Design and fabrication of ESSBilbao RFQ linac. Mechanical fabrication of ESSBilbao RFQ. 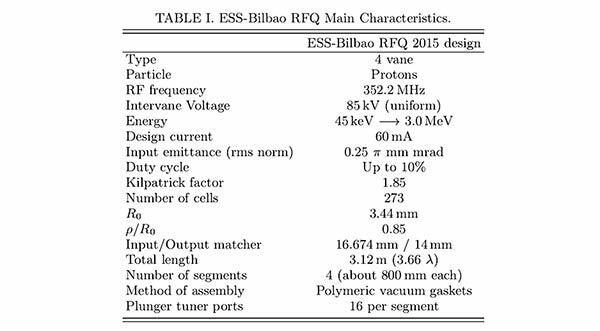 “Development of the radio frequency quadrupole proton linac for ESS-Bilbao”. J.L. Muñoz, I.Bustinduy, D. de Cos, I. Rueda, and A. Ortega. 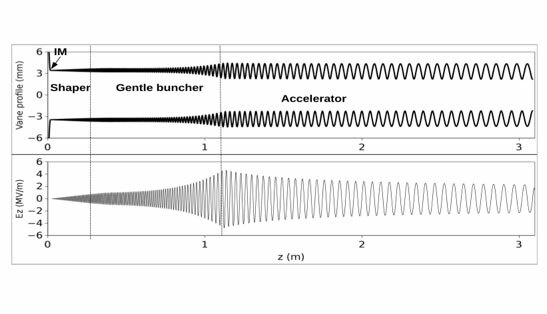 Physical Review Accelerator and Beams (submitted, pre-print available). ESS Bilbao partzuergo eta gobernu zentralen eta euskal gobernuen partzuergo publikoa da. Partikula azeleragailuen eta neutroien banaketak zientzia eta teknologiak ezagutza eta balio erantsia eskaintzen du, Europar Espalazio Neutroi Iturria Europar Batasunaren ekarpenari esker Lunden, Suedian.